When residents need help with medications and other hands-on assistance, Twin Oaks is ready to provide support with a licensed nurse on-site to administer medications, perform wellness checks, communicate with physicians, and attend to any health concerns that may arise. Working closely with families and personal physicians, we develop a personal life plan that respects each resident’s needs, abilities, and wealth of experiences. 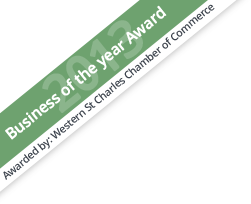 We provide a whole new beginning for you or your loved one. 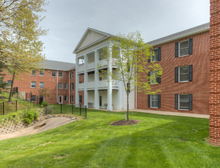 In addition to our beautiful rooms and suites we feature 2 dining rooms, patio areas, a religious chapel for our residents to enjoy and so much more. Let our hostess, Jan Demas, take you on a tour through our facility where you will learn all about Twin Oaks Estates. You will see rooms we have to offer as well as activity rooms. Hear from the founders about their passion for starting up assisted care in 1981. 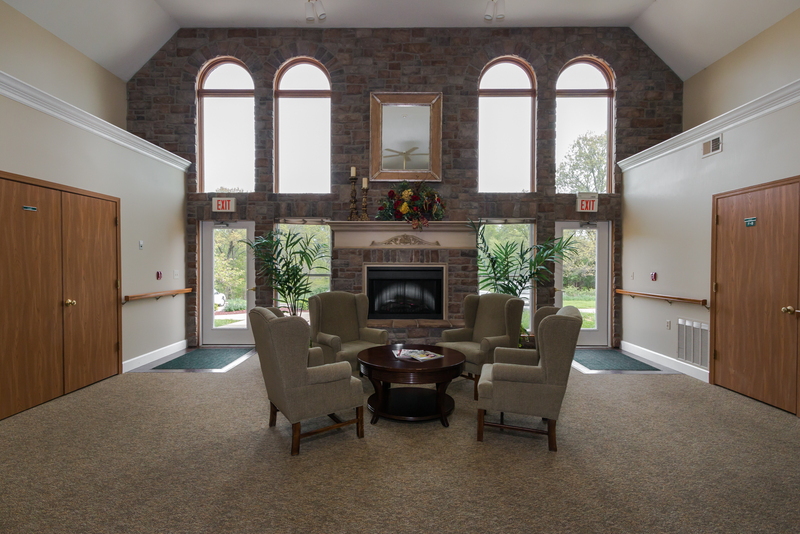 Twin Oaks Estate began as a vision – a vision of the way assisted living care should be. 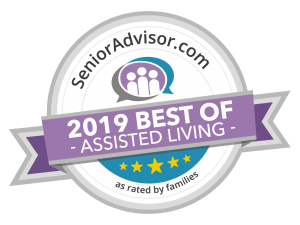 Committed, caring people in a warm and welcoming environment where seniors would receive superior assisted living care and opportunities for meaningful social interaction and recreation. 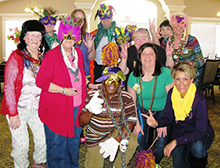 Founded in 1981 by William and Mary Ann Huber, the journey began with just 12 elderly residents and a staff of 4. 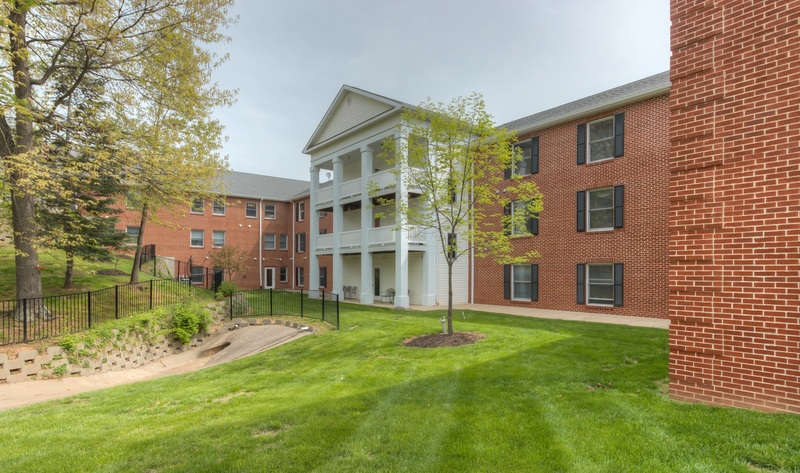 Throughout the years our vision expanded to accommodate several more residents and building new structures located on the 7 wooded acres. 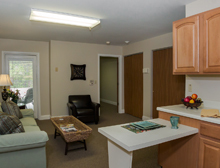 Our goal was to provide an inviting place for residents to enjoy their friends, their families and their independence. The result is Twin Oaks Estate. The total occupancy is now for 149 residents. In 2000, Mary Ann & Bill invited family members to join in the Huber Family Limited Partnership to bring Twin Oaks Estate to its fullest potential. 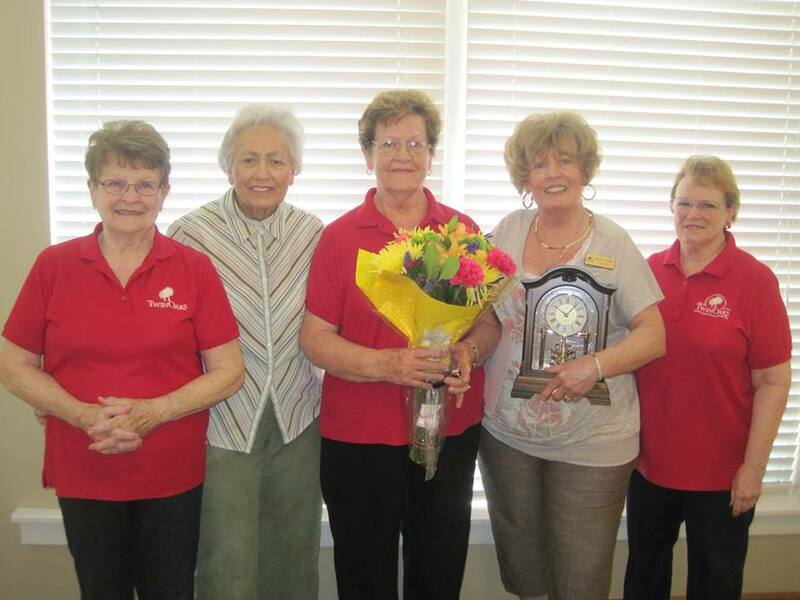 Twin Oaks has now proudly celebrated it’s 30th anniversary admitting over 1,200 residents through those years. Twin Oaks Estate is dedicated to serving its residents as a whole person, physically, spiritually and mentally. It’s success is a team effort by our 75 employees and their contribution from their excellent nursing care, a full dietary staff, daily housekeeping & maintenance departments and a top notch activity program. 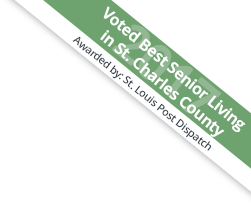 Our family is proud and excited to have joined with Gordon Gundaker and Jerry Scheidegger to bring our combined vision of what we think senior living should be like to the Wentzville Community as well. 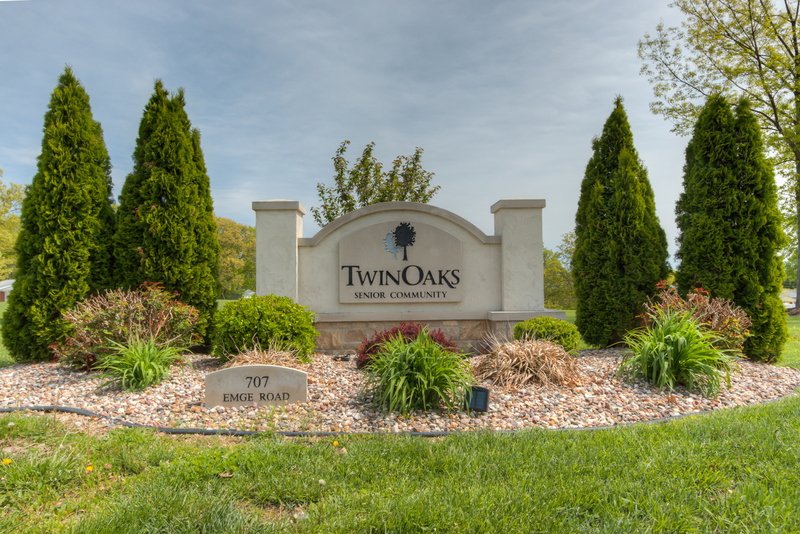 We want Twin Oaks Senior Community to be your home…somewhere to feel loved and cared for, to share friendship and fun, and to maintain your independence. To Our Twin Oaks Family, We just wanted to say thank you for everything you did for mom. 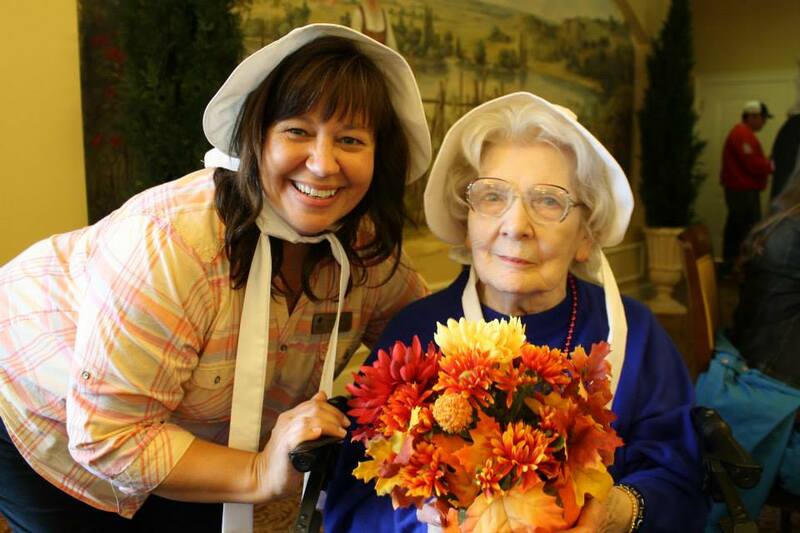 She loved being a part of the Twin Oaks Family. You all made it possible for her to have her own place again and she really loved being there and she loved all of you. We sure are going to miss you all but we will make it a point to stop by and visit every now and then. To all the staff, I was so proud to tell everyone Mom was living at Twin Oaks. It is because of each one of you. Thank you for treating your “residents” like family. I got to know some of you better but never did I see anything but LOVE and CARING from all of you. Thanks for all you personally did for Mom. You will always be in my heart. Dear Twin Oaks Family & Staff, Thank you for all the love, care and support you’ve shown our mother and family over the last six years. It’s comforting to know true caregivers such as all of you and we couldn’t have managed the last several years without the help of each and every one of you. You are all truly a blessing! Love Fred, Sue and the Wood Family. 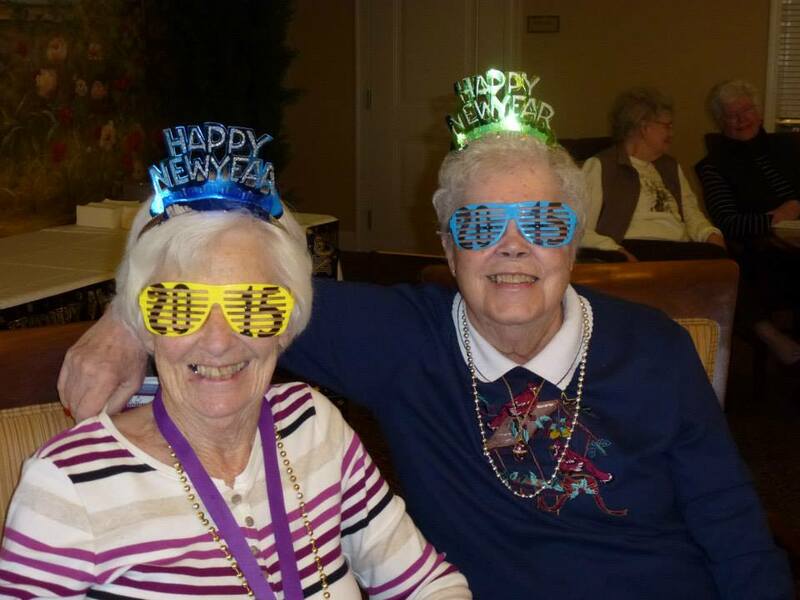 This past year my mom lived at Twin Oaks Assisted Living. We call it the “Miracle of Twin Oaks”. 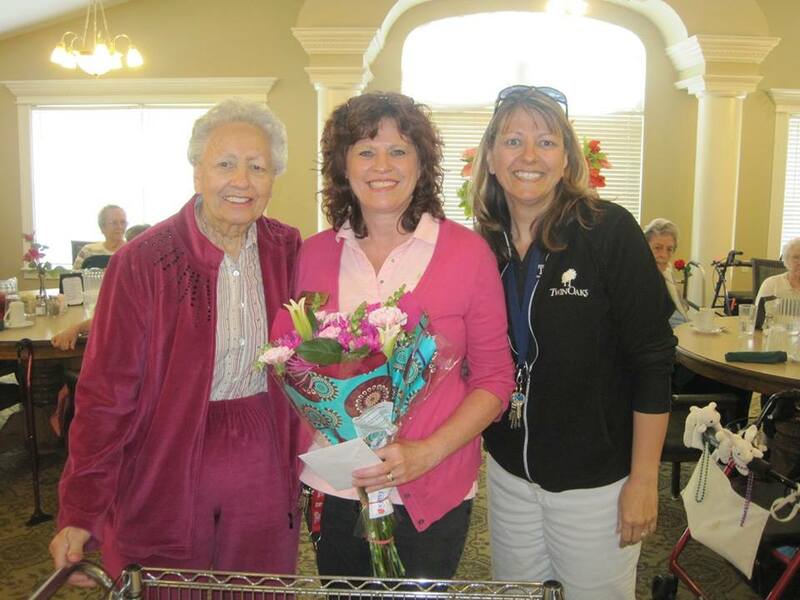 She loved everything thing about Twin Oaks, most importantly the staff and residents….and so did we! It was her heaven on earth. Every day she looked forward to one event after another, whether it was a group singing songs from the “50s”,….. firemen visiting and providing a hotdog lunch,…. children sharing Valentines,….July 4th celebration,….going to crafts and ceramics,…. folding napkins in the dining room (and getting paid for her hard work with a bag of Cheetos)…..my Mom was very happy, and she was living a fulfilled life. She was so proud of her apartment, especially when RhoAnn would bring potential new residents to view it. My Mom would proudly kid around with Jill and me and say she was waiting to receive her commission check. The location of her apartment was ideal. She would sit outside, across from the nurses’ station, and greet and gab with everyone walking by. After her passing, several residents said, “that corner will never be the same.” To Rho Ann, Tracey, Jennifer and all the other special individuals from Twin Oaks…… “Thank you for providing these blessings to my Mom”.